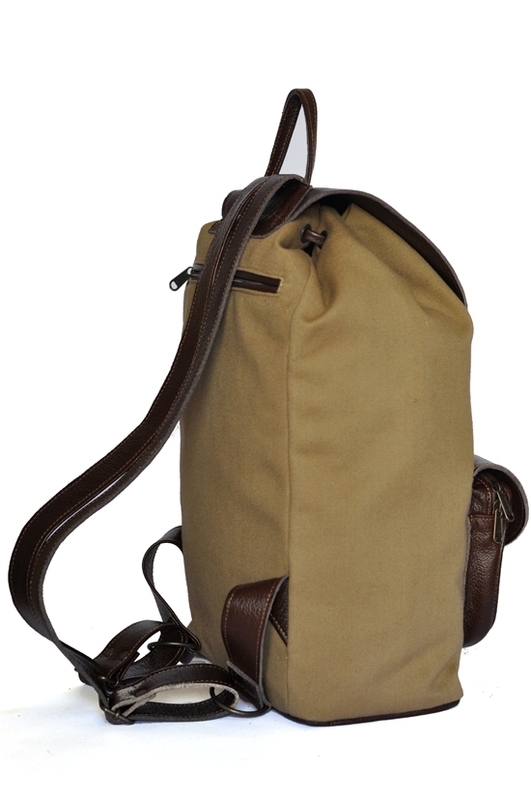 Made of durable and think water resistant khaki cotton canvas and brown genuine cow hide leather. 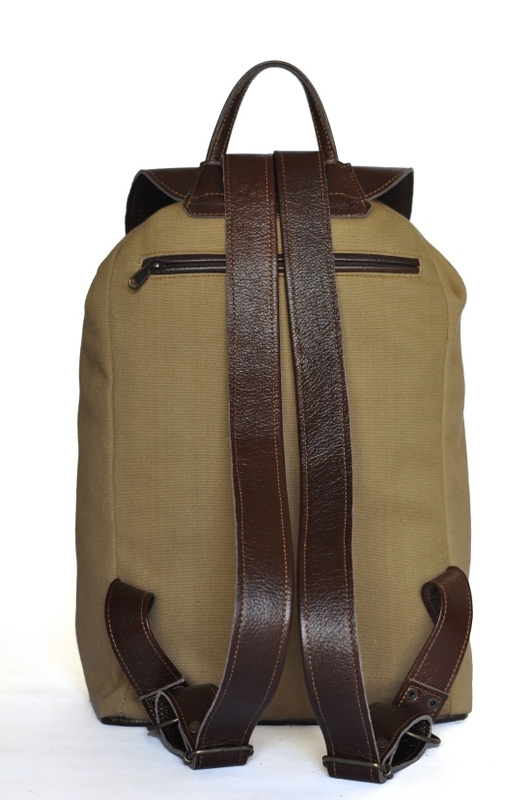 This backpack is fully lined and has an inside zipped pocket. 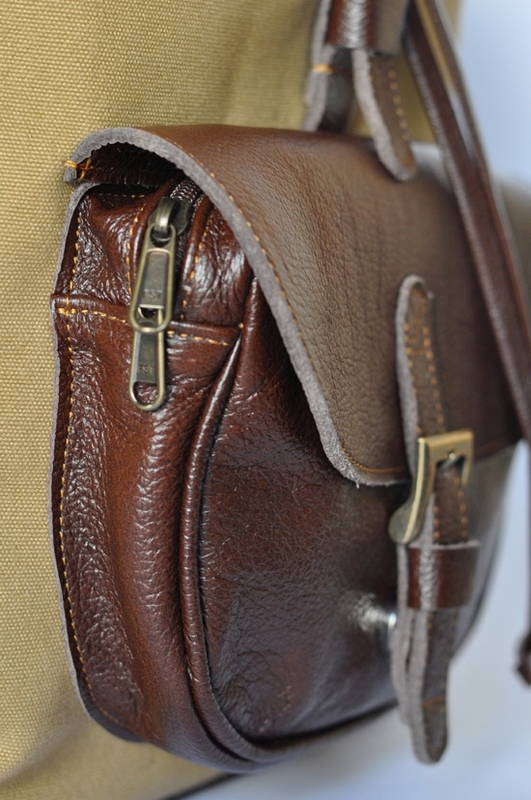 The front pocket features a zip ith a double slider for extra security as well as a magnetic clip for ease of use. The straps are thick adjustable for a comfortable fit. The base is leather and is firm and solid. The base measures 25cmX14cm and the height is 42cm. Fits a 13 inch laptop. 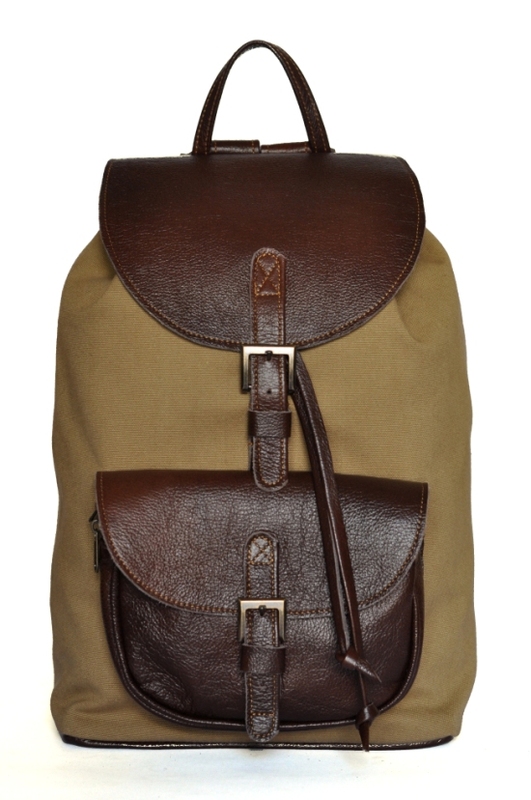 We take custom orders for bigger or smaller sized backpacks.